In 2017 Riverslea Bulls excelled again in the show ring – taking out champion Junior & Senior PLUS Grand Champion Santa Gertrudis Bull at Inverell & Gunnedah Shows. From 2 outings Riverslea Legend (P) took out Champion Senior Bull twice and Grand Champion SG Bull at Inverell. 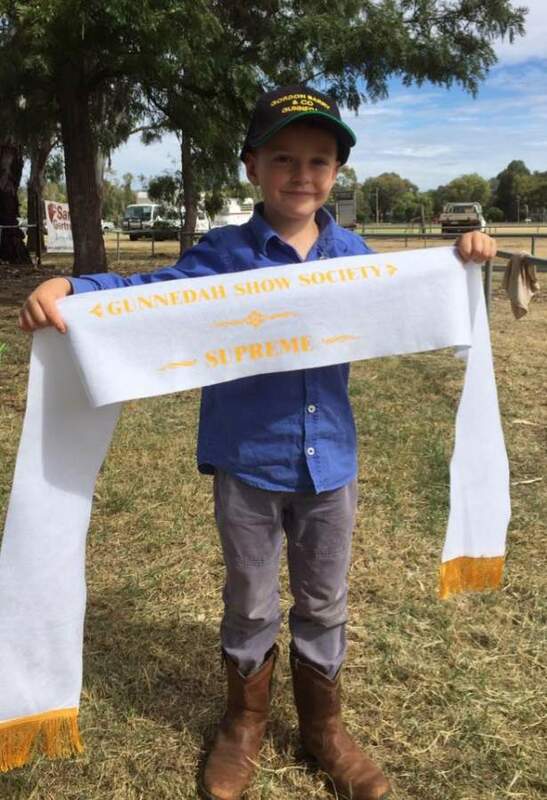 Riverslea Majak (P) picked up Grand Champion SG Bull at Guunedah and Riverslea Mambo (PS) – a full brother to our 2016 top priced bull – won Champion SG Junior Bull at Inverell. Possibly the bull to watch is Riverslea Mallallee (P), he is a young powerhouse bull that just lacked the maturity of the other Riverslea Bulls at show time. Exciting to have such a powerful team of top quality bulls coming along.